Featherlite Cake,Exspecially for "Ticling Palates" Radhika's Blog hop Wednesday.Now it enter in to Second week.I have been paired with Shireen of "Ruchil Randhap-Delicious Cooking".She's having a very beautiful blog with many baking recipes.I like to bake,i selected to make a Simple(only few steps) Cake. Method is very simple,Separate the egg yolks from the egg white. Bring the butter to room temperature(Soft). Boil the milk & cool it. Sieve Maida and Baking powder for 2-3 times and keep aside. Preheat the Oven to 350 F.Grease the Cake tray with little butter and all-purpose flour. Take a wider bowl,beat butter & sugar for 3-4 mins in medium speed.It'll turn fluffy. Add the egg white first in to mixture,beat well. Add the egg yolks and beat it for 2 more mins in low flame.Pour the vanilla essence. Bake it for almost 35-45 mins. After then,let't cool down for 30mins & cut and enjoy. 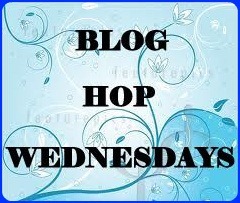 Click HERE to see what's going on in Blog hop wednesdays-Week 2. Linking this to Jabeen Corner's for,"IFTAR NIGHTS"
Really looks feather lite, soft and delicioius. fabulous cake, so soft n fluffy..
true to the name Prabha. Btw I have changed the name in the link. Do check it out. Also I have book marked your egg butter masala. simply delicious. Looks so featherlite ... would love to have some for tea..
1st time here happy to follow u do visit my site . Thank u so much to all my dear :-) Sure Sangeetha!!! Thank you Prabhamani for the kind words on my blog. Glad you liked the cake :) It looks really nice & perfect to be eaten with a cup of tea! So soft and spongy cake,looks so delicious. looking super soft n lite n ofourse yummmm..!